This Agri-Fab 750 lb. Steel Dump Cart is a great lawn and garden trailer for getting rid of yard refuse, hauling firewood, moving sand or dumping gravel. Reinforced tailgate guides offers added strength for loading and unloading h.. This Agri-Fab 750 lb. 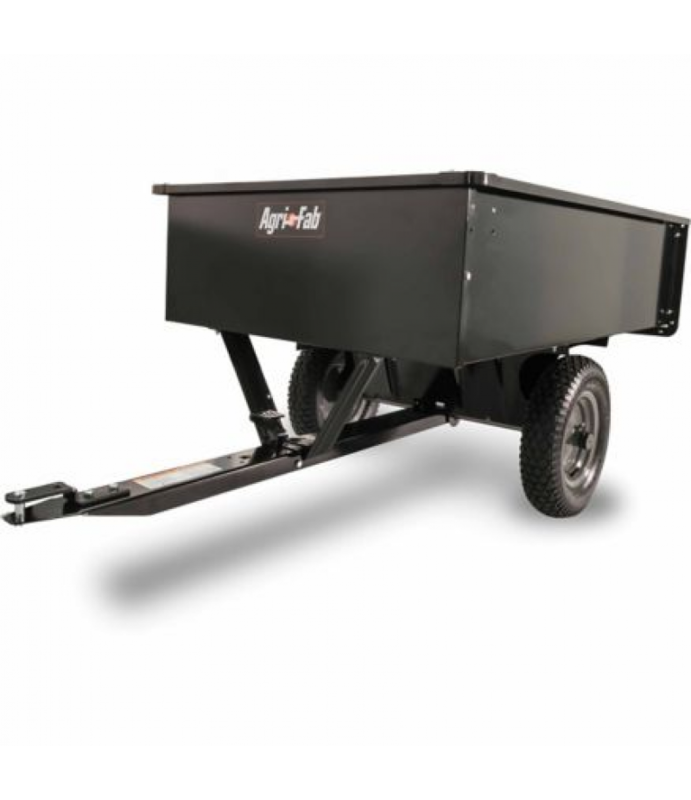 Steel Dump Cart is a great lawn and garden trailer for getting rid of yard refuse, hauling firewood, moving sand or dumping gravel. Reinforced tailgate guides offers added strength for loading and unloading heavy objects. Easy one-lever release dump mechanism. Universal hitch easily fits all tractors.